Kirby H. Griffin is a career banker, who has been in the financial services sector for 39 years. He has been in leadership positions with banks in consumer finance, commercial lending, mortgage, and mergers and acquisitions. Mr. Griffin was president of two banks in Florida. He participated in a leadership position with the FDIC in the resolution of almost 40 banks during the banking crisis between 2009 and 2014 handling some of the largest and most complex transactions. Most recently Mr. Griffin successfully managed a large portfolio of CRE and C&I loans within a $4B bank receivership project. Mr. Griffin graduated from the University of Mississippi with a BA in Political Science. 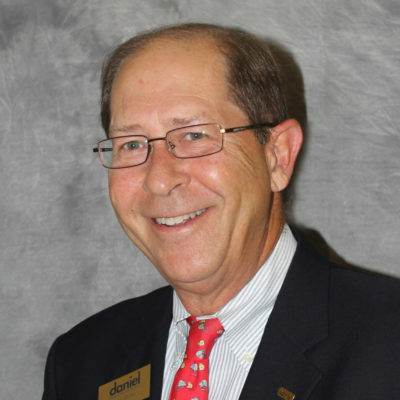 In the community he has served on a number of not-for-profit boards and currently serves on the Board of Daniel Memorial, Florida’s oldest child service agency. He was their Board Chairman from 2008 – 2010 and from 2014 – 2016.